MACOMB, Michigan -- Chrysler Group paid off its government loans today, saving it more than $300 million a year in interest payments and allowing Fiat S.p.A. to raise its stake in the U.S. automaker. Sergio Marchionne, CEO of both Chrysler and Fiat, said that Fiat's current 30 percent stake in Chrysler will rise to 46 percent. "It goes up as soon as the money transfers," he said. 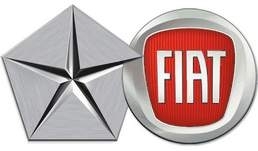 He repeated that Fiat hopes to boost its Chrysler stake further by the end of the year, adding that "over time" Fiat could increase its stake to as much as 76 percent in part by acquiring a portion of the stake held by the United Auto Workers union, known as the VEBA. The move aims to put Chrysler on firmer financial ground and draw it closer to Italy's Fiat, two things investors and bankers said would make Chrysler more attractive in an initial public offering that could come this year or next. Chrysler raised $7.5 billion in new loans last week. Much of that money, along with $1.3 billion in cash from Fiat, went toward repaying some $5.9 billion in loans and interest to the U.S. government and $1.6 billion in loan debt to the Canadian government. Marchionne said that the refinancing was a sign of Wall Street's confidence in Chrysler about two years after it emerged from its U.S.-funded bankruptcy and took a federal bailout. "They (investors) know that we're here to stay, and a lot of them were and are betting on the fact that we're going to be here for a long time," Marchionne said at the grand opening of Fiat's first Michigan dealership in a Detroit suburb. "It is our expectation tomorrow that Chrysler will begin to regain its independence, its accountability to the public markets, as part of the long and painful restructuring process that began back in 2008," Marchionne said Monday. When asked about the timing of the IPO, he said discussions needed to take place with the healthcare trust affiliated with the VEBA, which wants to cash out its current majority stake in Chrysler. "Their objective is money for the trust," Marchionne said, adding that Chrysler had done a lot of work with the U.S. Securities and Exchange Commission in preparation for an IPO.